Bank Asia Limited is a leading private sector commercial bank having its network across the country with 121 branches including SME Centers and Islamic Windows to cater the needs of diversified customers. The Management of Bank Asia is comprised of a team of highly motivated and skilled personnel committed to develop excellence in banking. To meet the growing needs of its expansion program Bank Asia is looking for smart, young, energetic, confident, proactive and hardworking fresh graduates for the post of Management Trainee (MT). It looks for people with potential who will contribute to the growth of Bank Asia and become the next generation of leaders. 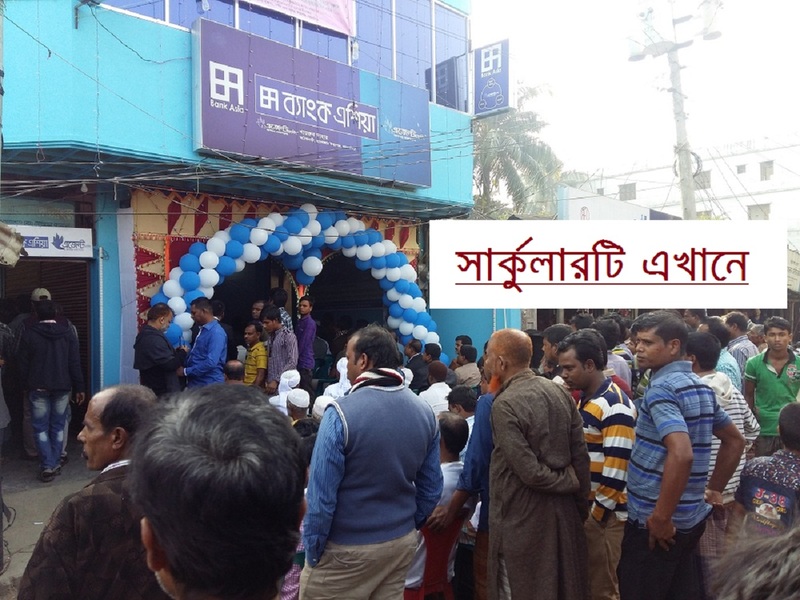 The selected candidates will be given a comprehensive structured training program at the Bank’s Training Academy, on the job training and job rotations in the Branches to acquaint with different areas of the Bank that will guarantee them develop the skills required to excel in their futuলারre responsibilities. A stimulating competitive work culture is available for the recruited MTs to learn and demonstrate their competence over time for a smooth career progression. Bank Asia Management Trainee Program puts them on a fast track to an outstanding career in the banking industry. 4 years Graduation in any discipline from any reputed UGC approved University. Candidates should have minimum CGPA 3.00 out of 4.00 and 4.00 out of 5.00. Age not over 30 years as on March 31, 2018. The selection process will be purely on merit basis. Primary list will be prepared on the basis of combined result of Written Test and Viva-voce. Final selection will be made on the Management’s Interview. Successful Management Trainee will remain on probation for a period of 1 (one) year. On satisfactory completion of probation period, Management Trainee will be confirmed as Senior Officer in the regular pay scale of the Bank. The conditions that are in practice in the industry may be applicable while offering job to the selected candidates. Candidates who meet the above requirements are invited to apply online through Jobs with a recent passport size photograph and apply latest by April 25, 2018.